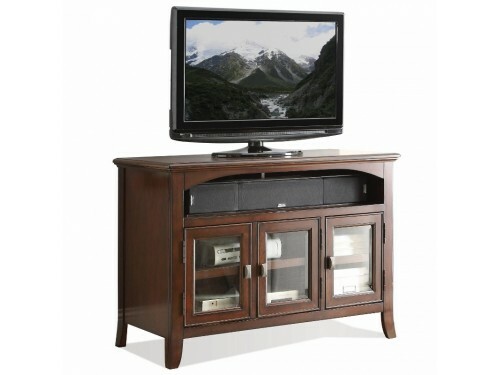 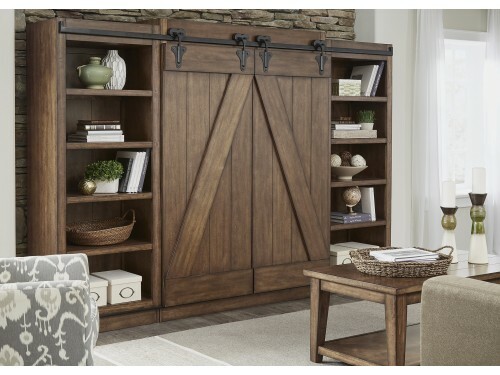 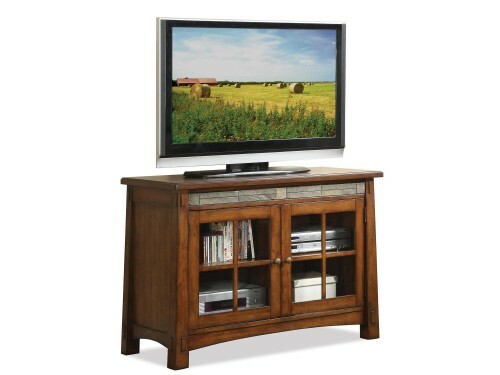 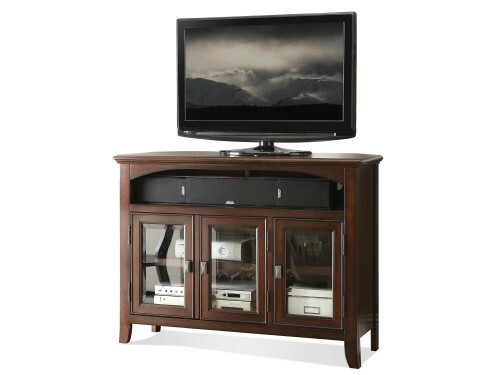 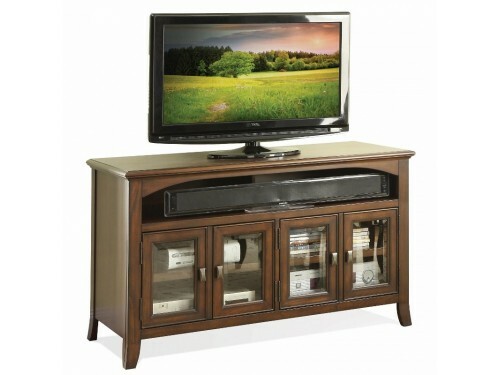 This TV Console is part of the Preston Collection by Riverside Furniture. 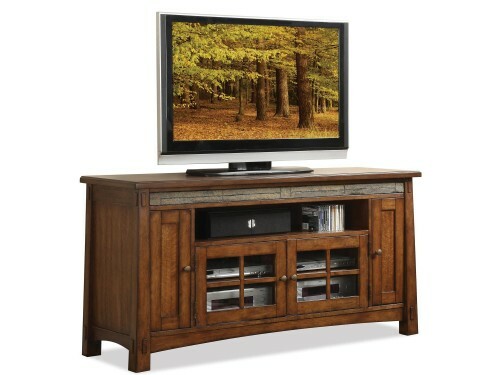 The console is constructed of hardwood solids and has a Burnished Oak finish. 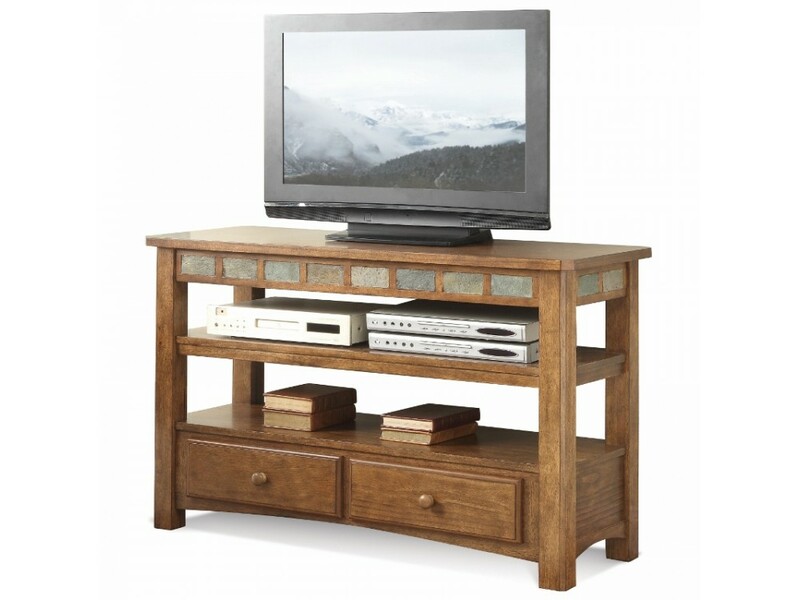 The console features a framed front and end aprons with natural slate inserts, a fixed center and bottom shelf, and two bottom drawers with dovetail joinery and wood-on-wood guides. 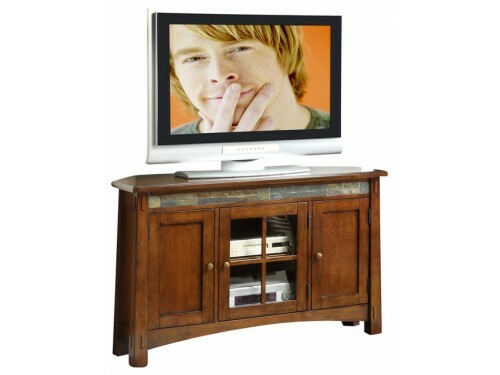 Dimensions: 48.00"W X 18.00"D X 30.00"H.